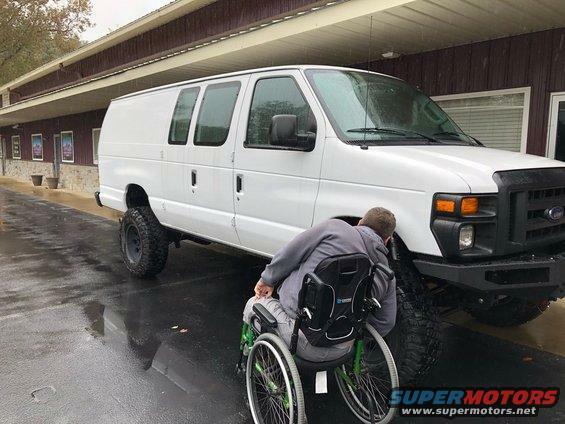 So let me get back to this....... One of the things a handicapped person needs to consider when shopping for their van:..
Do I want to drive from my wheelchair ? or Do i want to transfer out of my chair to the driver seat? Couple things this adds to the equation . 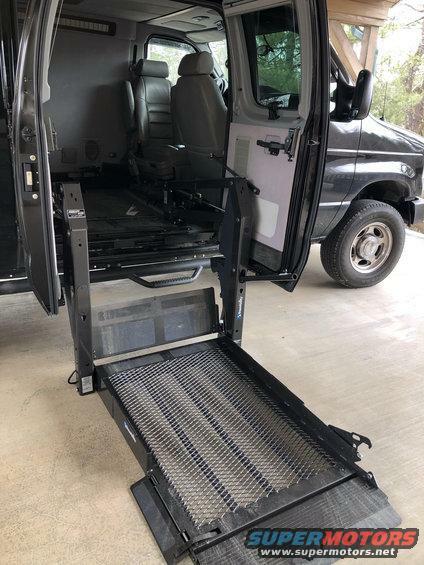 I'm sure most of you'all are familiar with "dropped floors" found in most wheelchair vans . This adds headroom while in the van and still sitting in your wheelchair. Some dropped floors start behind where the front seats mount , some start at the firewall. If you want to drive from your wheelchair most of the time this is going to require the dropped floor start at the firewall . Simply because your normal height will sitting in a wheelchair is typically too high of a position to drive from. So next option is transferring out of your chair into a 6-way power seat. The power seat can be used in both configurations , dropped floor all the way up or dropped floor starting just behind the front seats , HOWEVER , you need to keep something in mind. The up/down travel of these power seats does have limits. Therefore depending on your level of mobility you must look closely here. 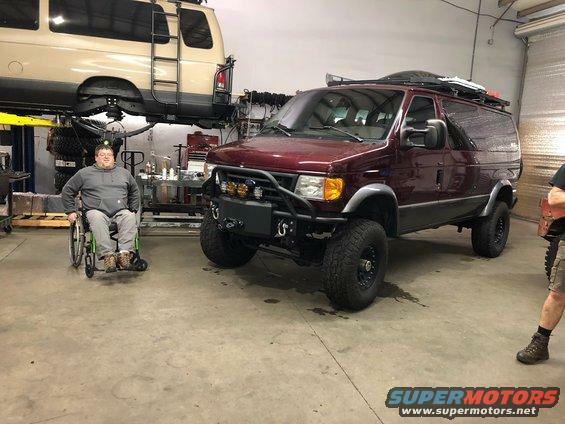 The power seat will only drop so low , meaning if the driver seat area is not also lowered, even with the seat lowered to its lowest position it still may be several inches higher than the height of a wheel chair . This make's a normal "slide transfer" more difficult. 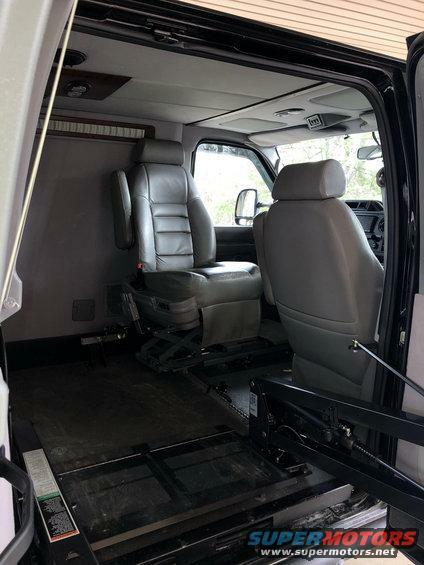 If the driver seat area is lowered , most of the time the power seat will lower enough so that it is at least the same height as your wheelchair making a slide transfer MUCH easier. Taking all this into consideration I decided I wanted a dropped floor , all the way to the firewall, with a 6 way power seat. I am still currently mobile enough to make a slide transfer IF and only IF the seat I am transferring into is level with or slightly lower than my wheelchair. "6 -way power seat" What is this ?? Its a WONDERFUL invention to help the handicapped drive from a drivers seat. They power forward/backward , up/down and rotate clockwise and counter clockwise. So a wheelchair user can enter the van in their chair , back themselves in the van just behind the driver seat . Then power rotate the seat around, power it back toward their chair and last lower it down enough to facilitate a slide transfer. Once transferred simply rotate back around power forward to the wheel and adjust your height as needed. Next question ? Do I need power side doors ? I'm gonna go ahead and say this. If you plan to be independent and use your van alone GET POWER DOORS. 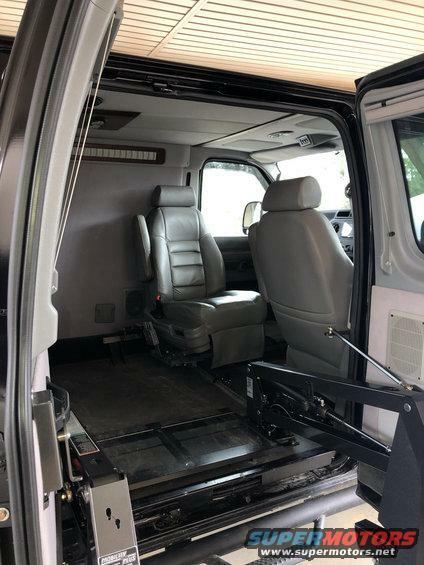 Power side doors open up to allow usage of the wheelchair lift . They open by way of a switch or remote and are automatically held in place by the motor system. Next thing, if you are independent GET REMOTE OPERATED DOORS. 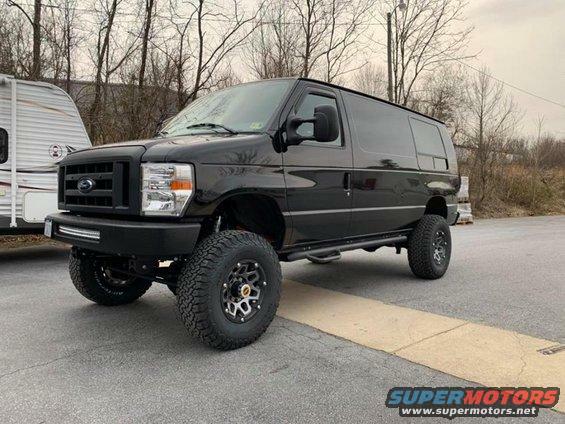 If you pay attention to all the for sale adds for vans that lack power doors you'll notice most of the time they'll have bungee cords holding the doors open to make sure the doors don't accidentally swing in and interfere with the function on the lift when it goes through its paces. Sounds handy right ?????? Next I'll move along to the lift itself . I can't do enough to stress doing your research here !! There are several options available here . When i bought my van it was equipped with a Braun Vangator lift. This is a nice lift with some nice advantages ....... but one major disadvantage ! Pic of the Vangator in "stowed" position. This is where the Vangators advantages are highlighted. 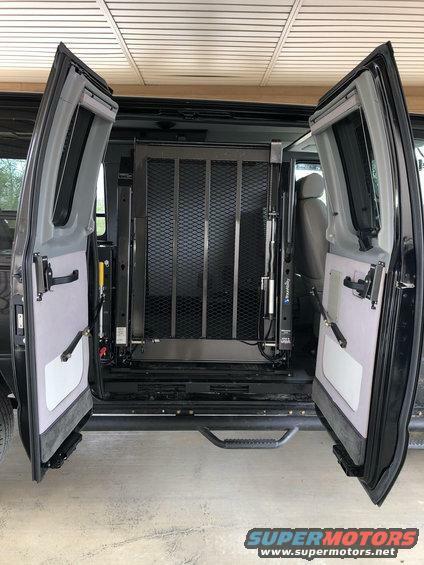 Notice how once the lift is raised into the van , it kind of rolls up and out of the way.This allows for passenger in/out without needing to completely lower the lift. Also offers visibility gains and allows for more front passenger seat adjustment . All this comes with a major drawback . For the lift to function the way it does it is reduced to a "single post" or "single arm" lift. Being a single post lift , weight capacity is significantly reduced (most times only a factor when the handicapped person uses a power chair instead of a manual chair). On top of the reduced weight capacity , the biggest drawback of all..... vertical travel . This style lift is not capable of enough travel to accommodate most vans that are converted to four wheel drive. When I bought the van I knew I wanted to convert to 4x4 , however at the time I just wasn't sure it was in the cards . As things progressed some friends helped me experiment a bit and what we found was quite disappointing. The vangator was only capable of about 2" more travel above what it was already doing in the vans current configuration. No way it would work with any type 4x4 conversion . As for the RZR, i ended up with a Commander with hand controls, awesome machines to get around offroad. Im almost finished building my camper, but its taken me a while as i've done it myself. Thanks ! Please add anything you wish to the thread or any questions . I'd like for others in our position to be able to use it a resource to help with the trials of mobility challenged folks that still seek adventure on their own level . I also welded on levers for my tractor and i was good to go. It quickly became clear that my existing wheelchair lift was not going to get the job done. I began searching the net again , still very difficult to find much information. Next I called around to several handicapped/mobility specialists , still didn't find much definitive information. One day I was fortunate enough to call a nearby company and all the folks that normally answer the phones happened to be out. A technician answered the phone , Jackpot ! Now I was getting somewhere. He shared some really good information with me and asked if there was any way i could stop by sometime, let him see what I had and go over options. A couple days later I stopped by and started explaining to him what I was doing. We chatted for a while and out of the blue he say's "have you ever heard of a van called Vanaconda?" "I put the wheelchair lift and 6-way power seat in it" Lol........ Its a small world . He suggested a couple options , the Braun Millennium and the Braun Century. Both of these lifts are good for around 35" of vertical travel . To best utilize mounting and door opening space we settled on the Millennium . A big chunk of $ later, and I now have a lift that will work with a 4x4 conversion . Its a great lift . Much beefier, heavy duty . A couple drawbacks but overall a much better setup. Passengers can now only access after the lift is deployed and the second post limits passenger seat adjustments a little bit. But main goal is now accomplished , plenty enough vertical travel for a 4x4 swap. Christmas and my born on date fall less than a month apart and my lovely lady decided to hook me up with a head unit and some new speakers . Yeah , she's great ! 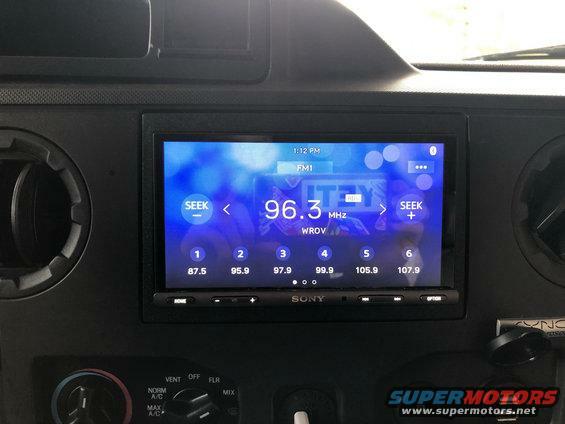 Its a really nice unit. I like it a lot. Really seemed to "update" the interior. 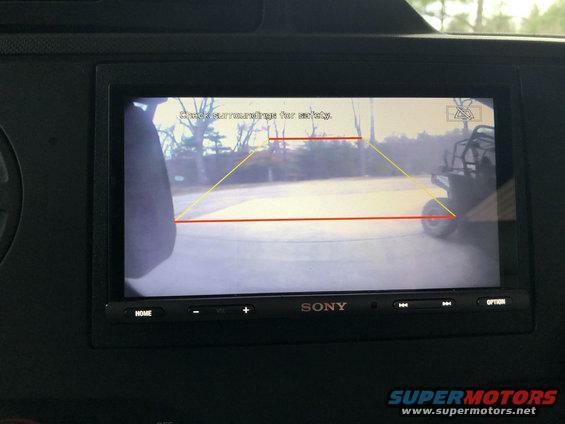 Works well with the backup camera the PO installed. A little late but another place to find a wheel chair lift would be a school bus conversion forum or junk yard. Craigslist on occasion as well. 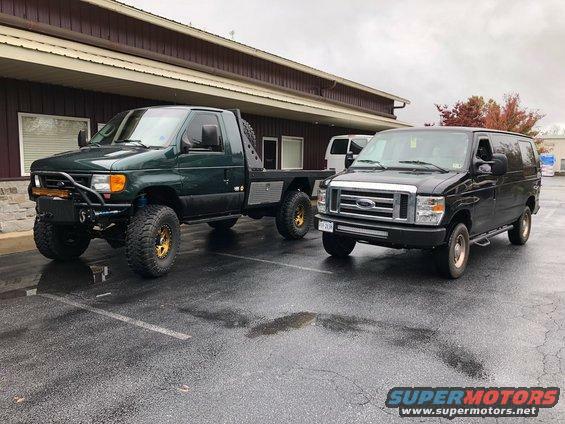 I know the junk yard I work at has a handful of lifts from short and big busses and am waiting to get one for parts or to just replace the one in my short bus. Good luck and keep us posted on progress. This is an excellent point . 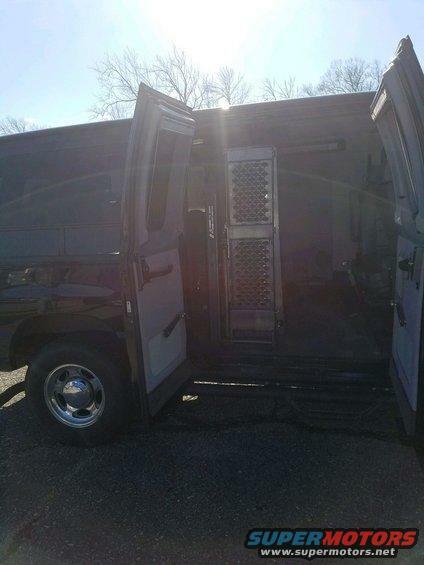 I've seen many school , hospital and church vans listed for sale on ebay, craigslist etc... The whole van often sells for less than what my lift alone cost me. So if you have the ability or have the right friends definitely consider this as an option. Sorry so long with no updates...... a little teaser . I took another road trip to Asheville yesterday. My baby was ready !! When I quit riding around , grinning ear to ear, showing off etc.... I will leave a better update.